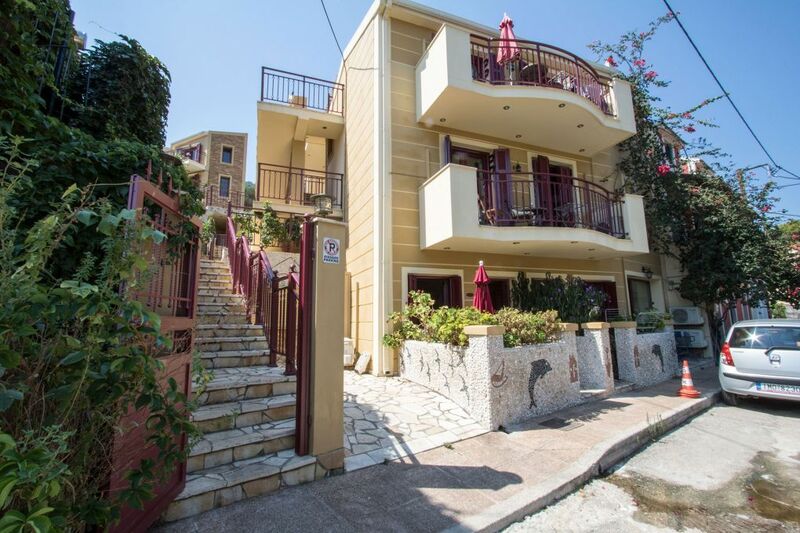 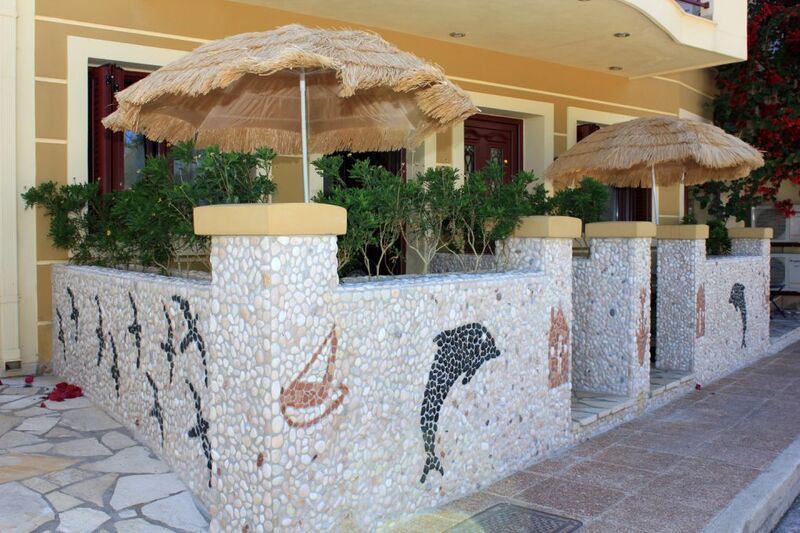 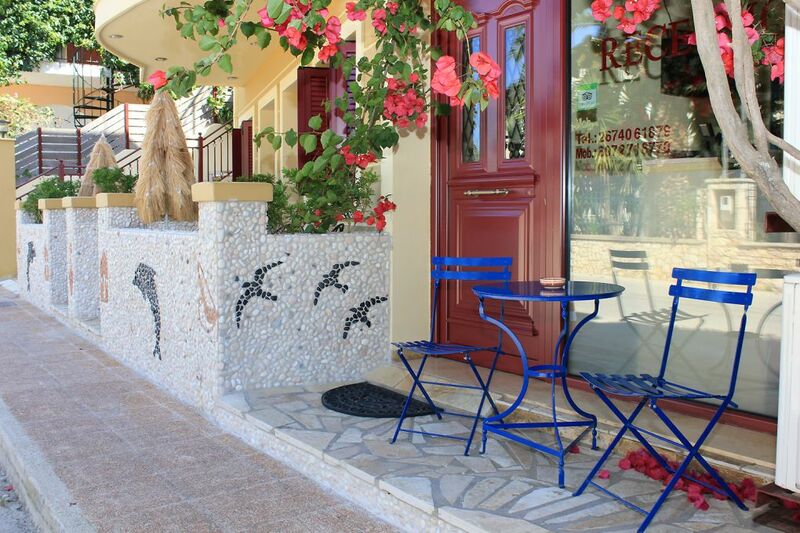 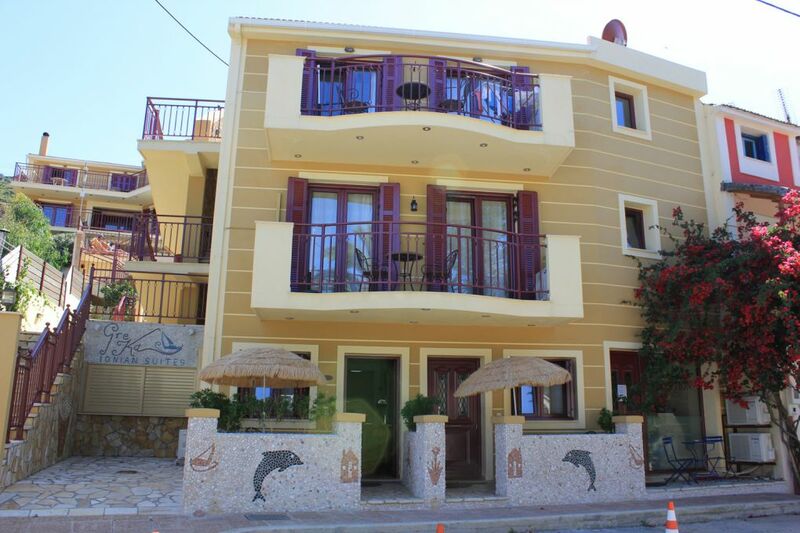 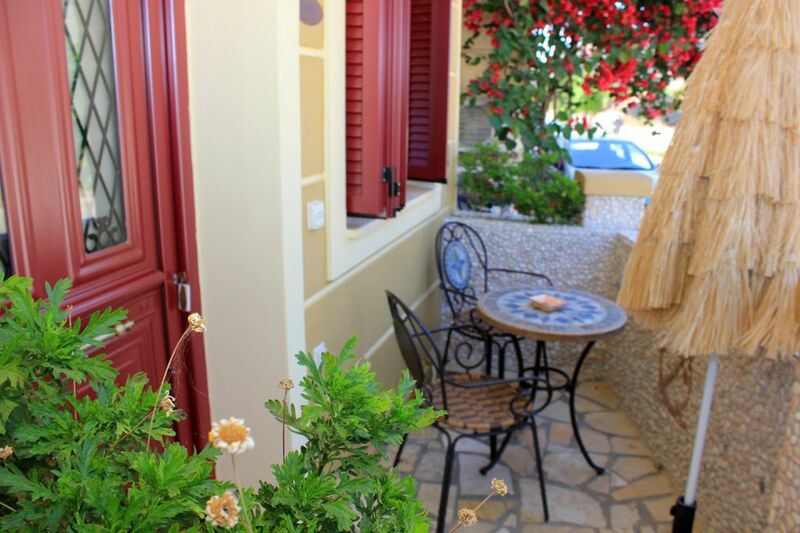 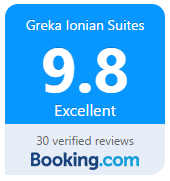 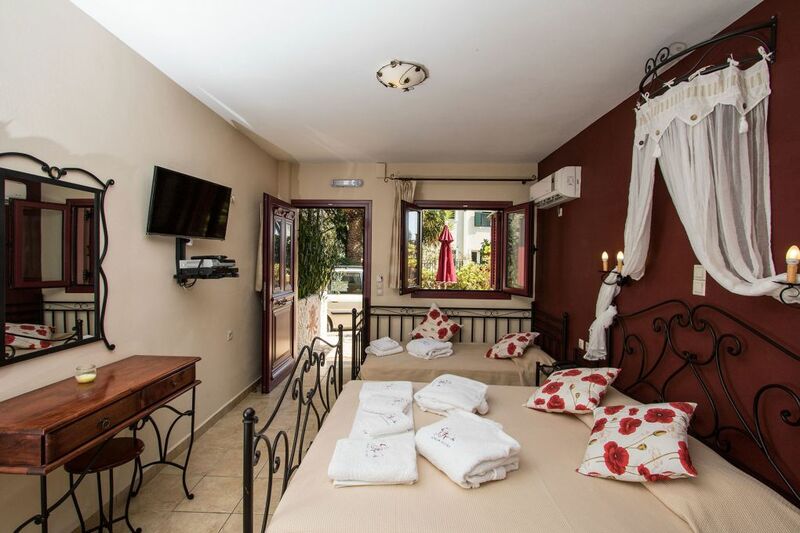 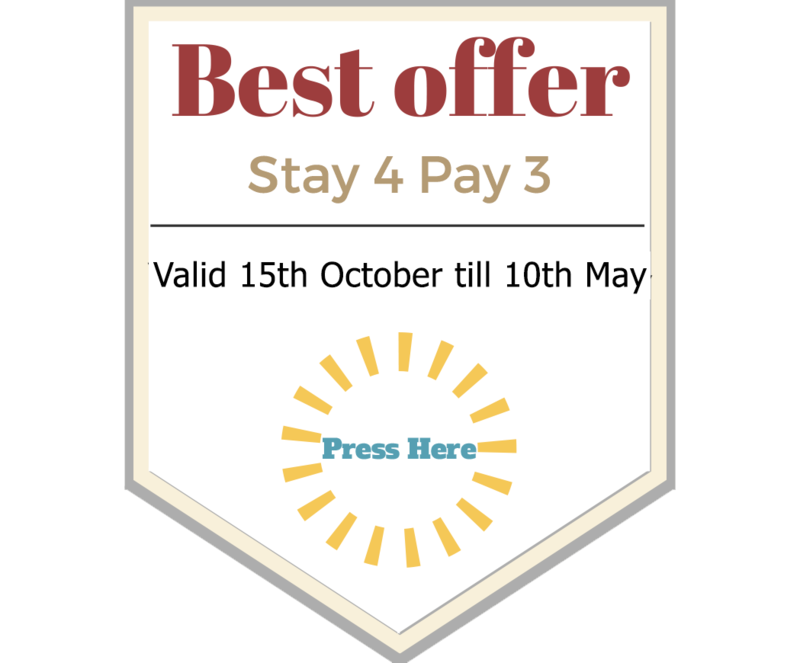 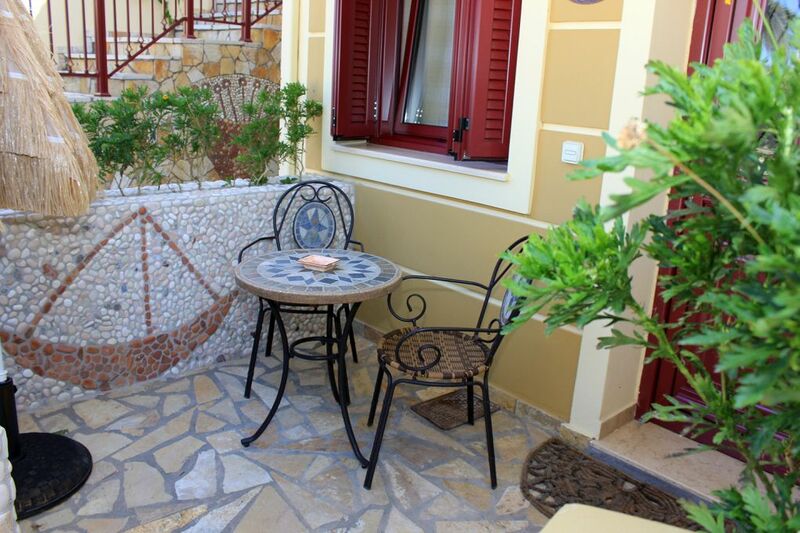 THE STUDIOS ("Lefkada", "Kythira") can accommodate 2-3 persons each. 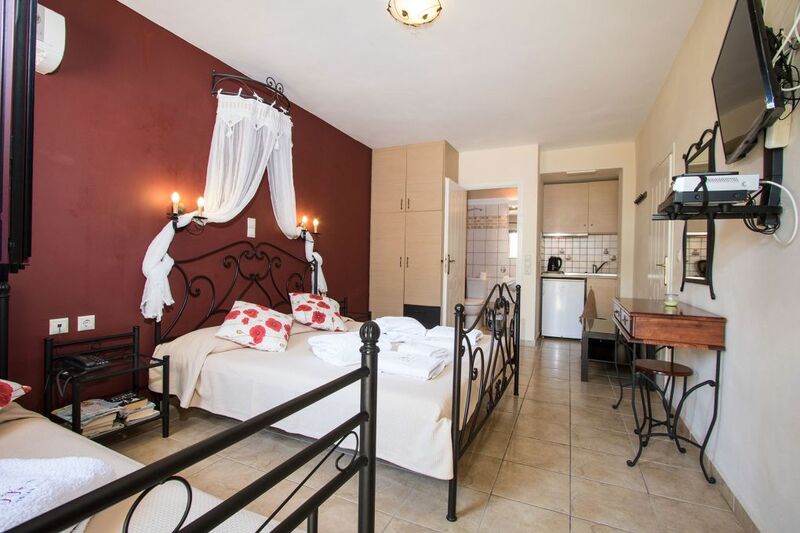 Our Studios are composed of just one room, the king sized bed and the kitchen are in the same room. 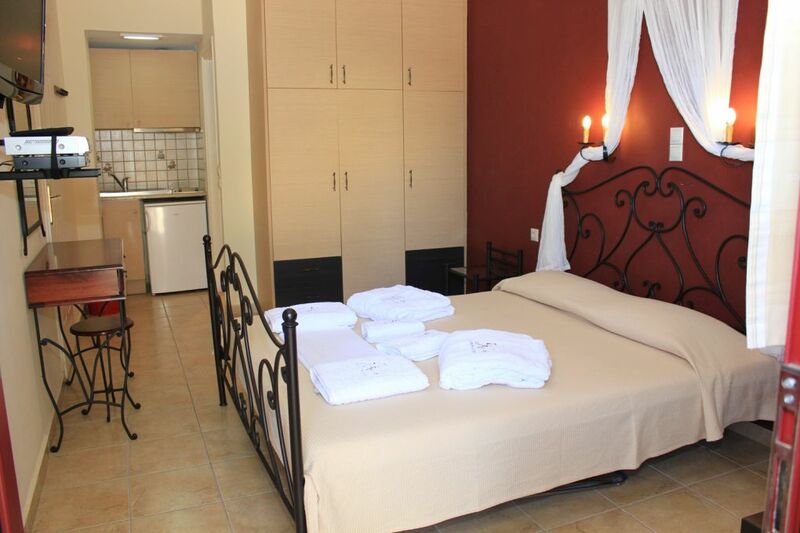 They are also equipped with plasma TV, CD - DVD player, telephone, air condition. 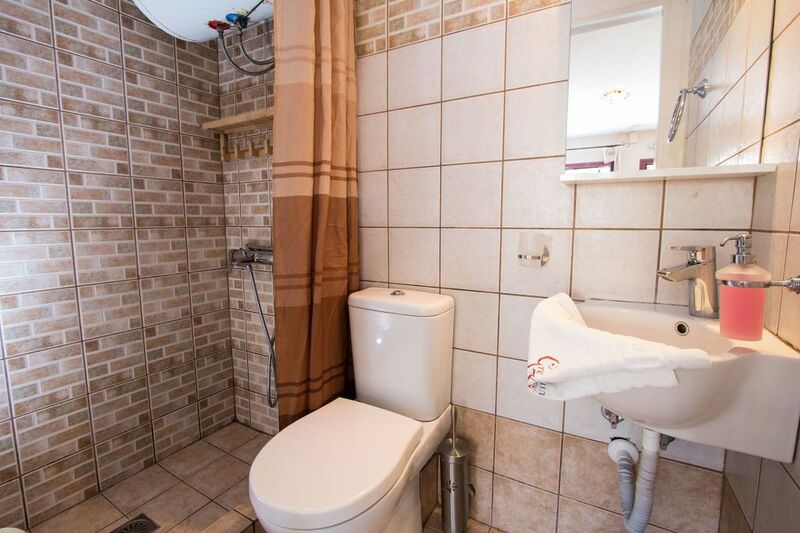 The kitchen consists of a small refrigerator, and the cooker has only two hot plates without oven and without microwave oven. 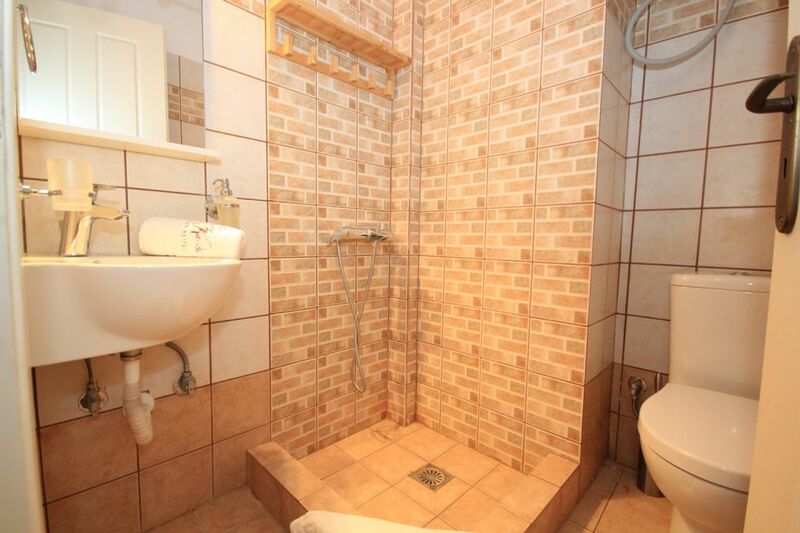 Their bathroom is small (their shower without cubicle, just with plastic curtain). 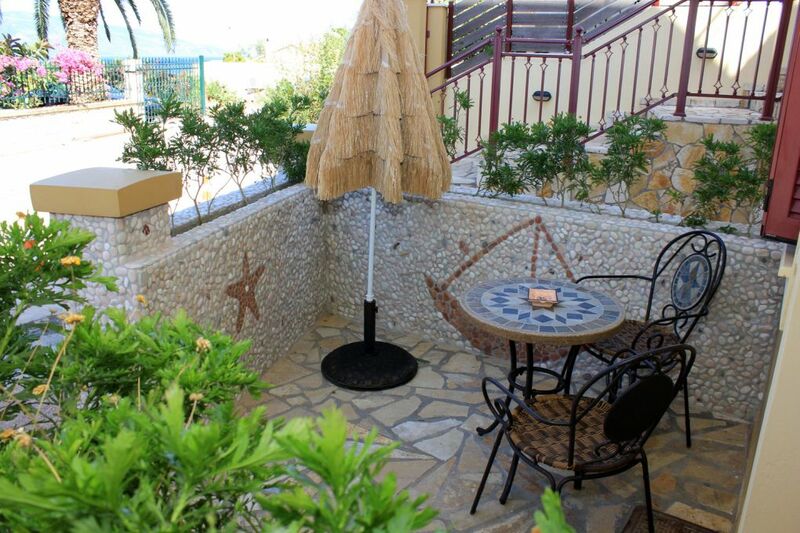 They are having a small balcony and they are situated in the street level (ground floor). 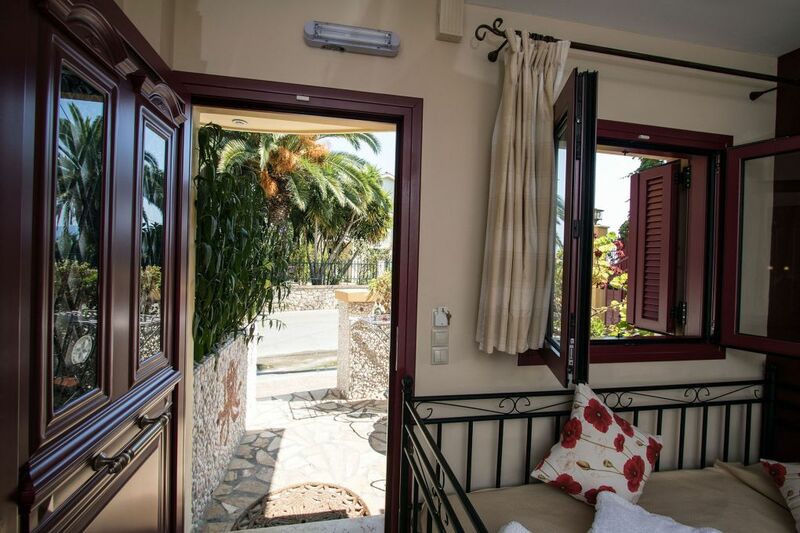 The view to the sea is limited.